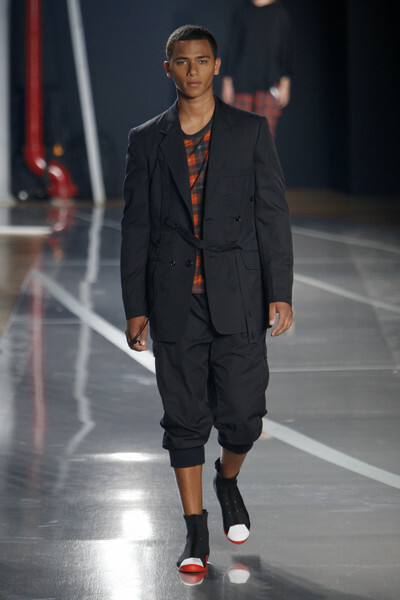 At Y3 it wasn’t immediately clear what kind of clothes were sent down the runway. 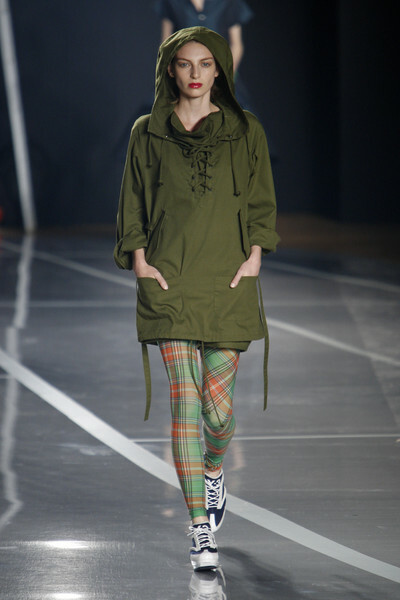 Jackets looked like dresses, shorts appeared to be skirts. 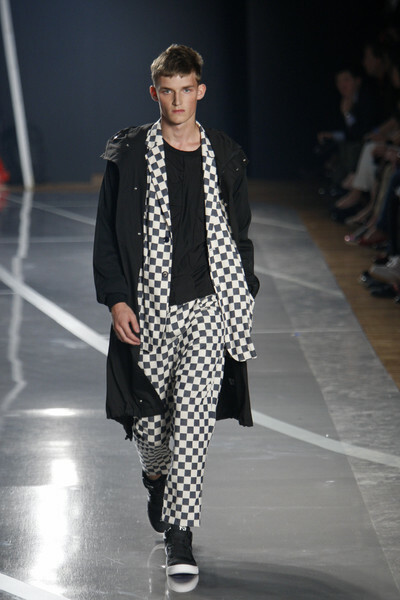 There was a lot of asymmetry going on and on top of that everything was styled in an unconventional manner. 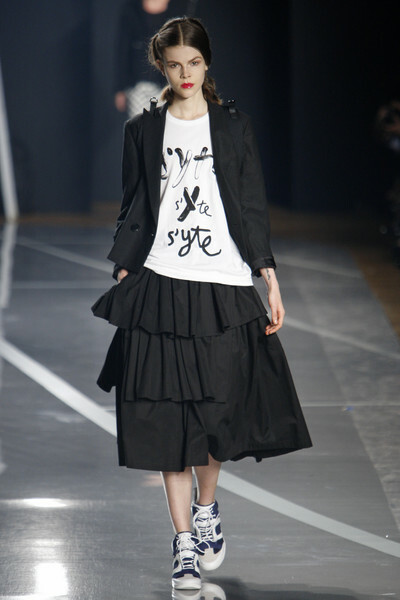 Tulle skirts worn with trousers, parka coats over leggings and so on. 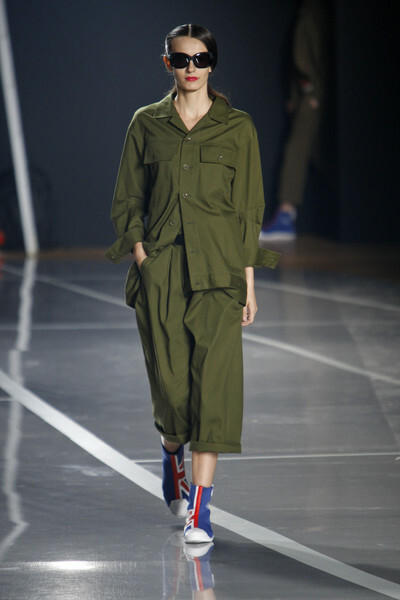 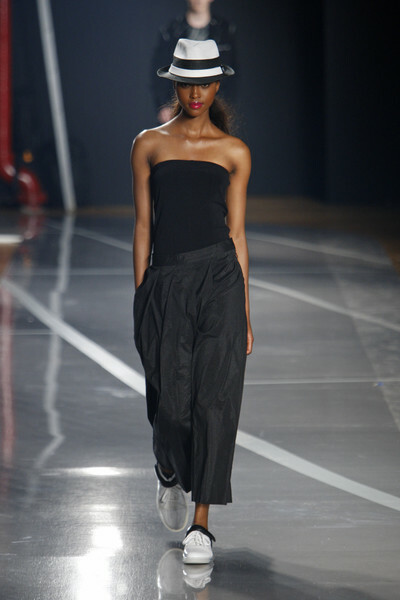 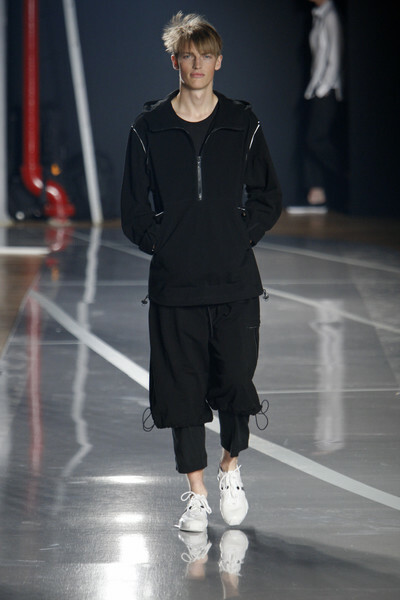 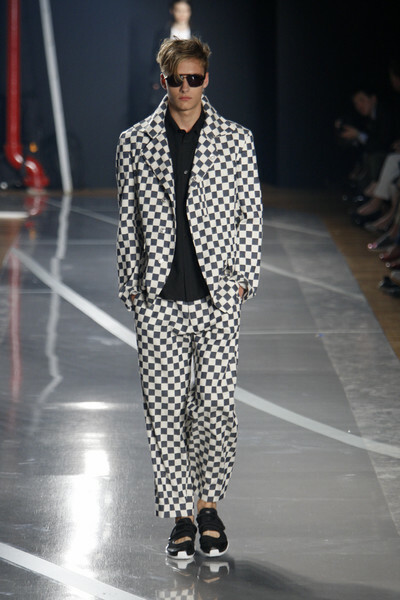 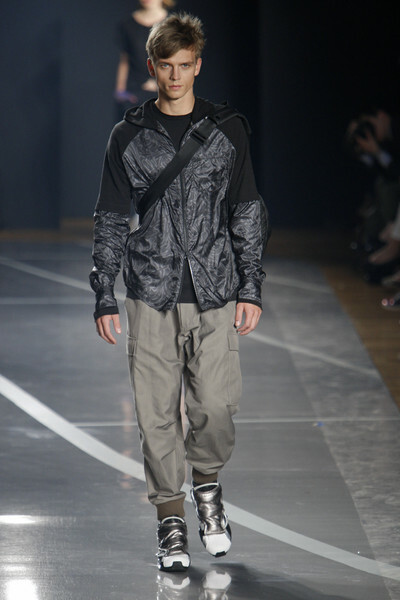 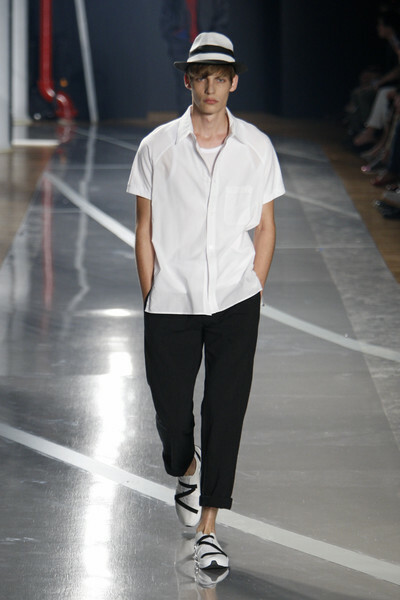 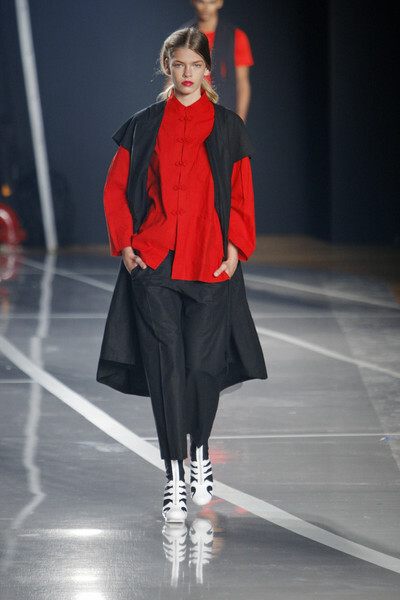 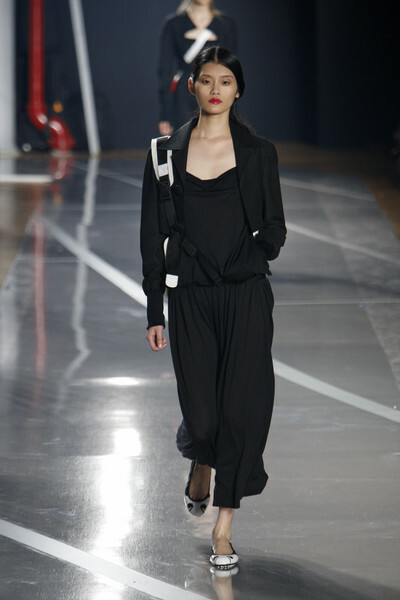 As always with Yohji Yamamoto the red-lipped girls appeared sporty and tough. 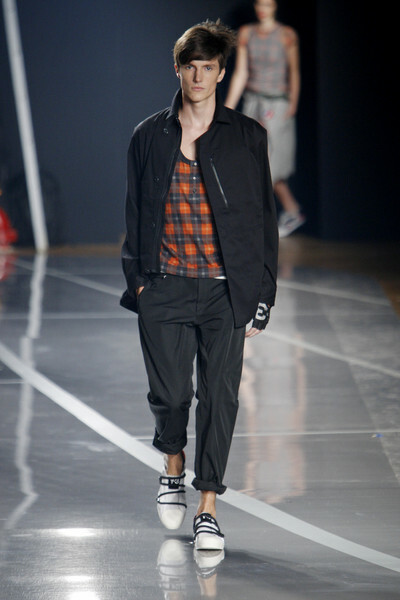 Walking the runway (on all kinds of different sneakers) with their hands in their pockets, the seemed careless. 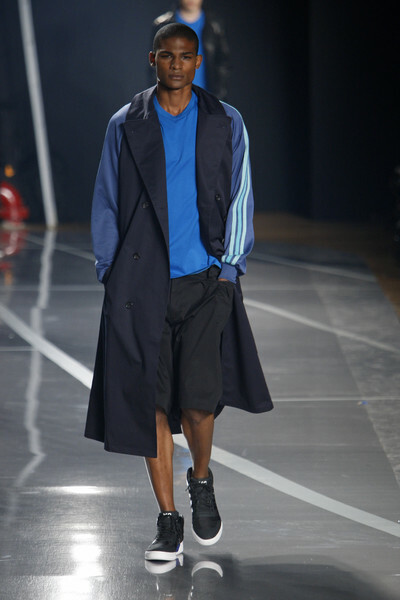 Yet this time around there was a slightly feminine touch to some of the looks. 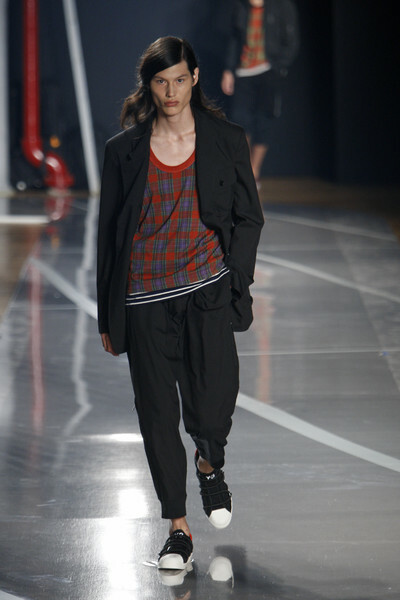 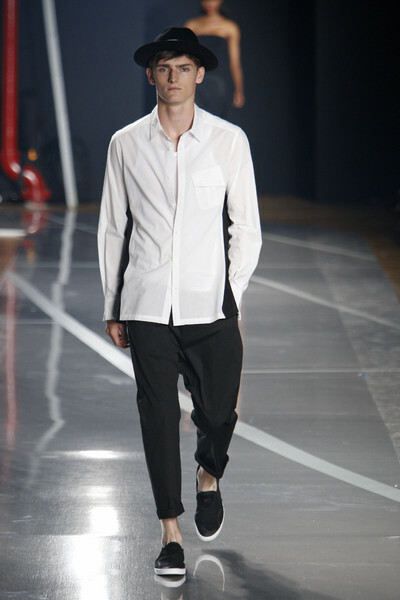 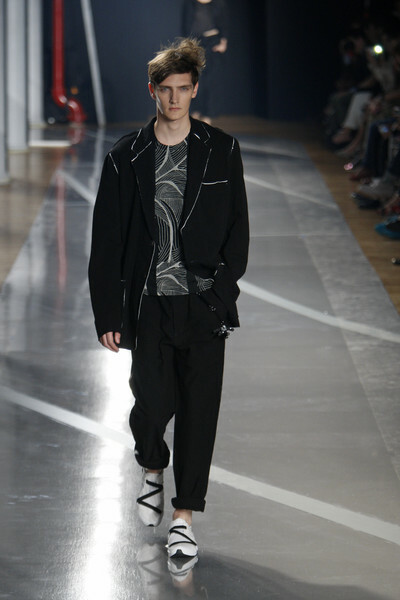 Yohji (and the new creative director Dirk Schönenberg) came up with some silk outfits and gave their designs ruffles. 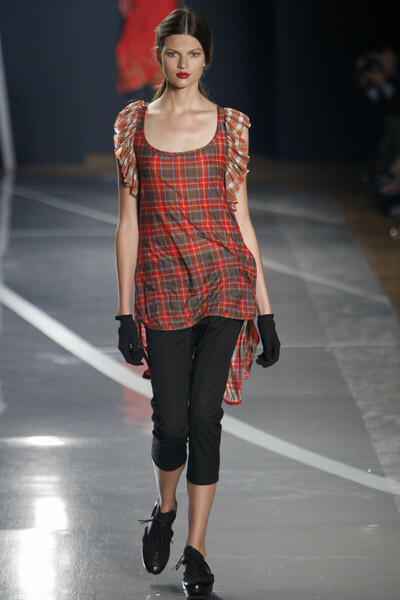 They were a far cry from the super feminine Valentino ruffles, but they did add a (welcome) girly twist to the collection. 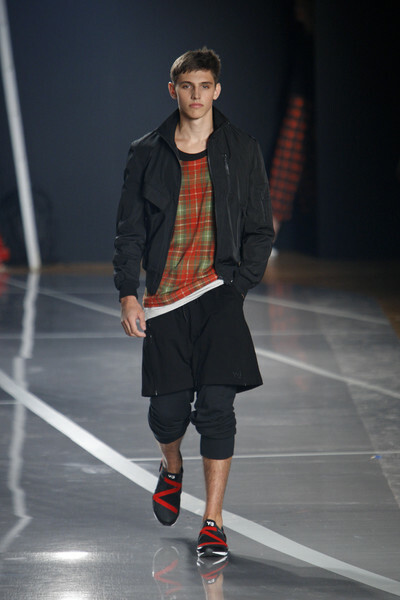 The color palette, lots of black, army green and some red Tartan prints, was just perfect for both men and women. 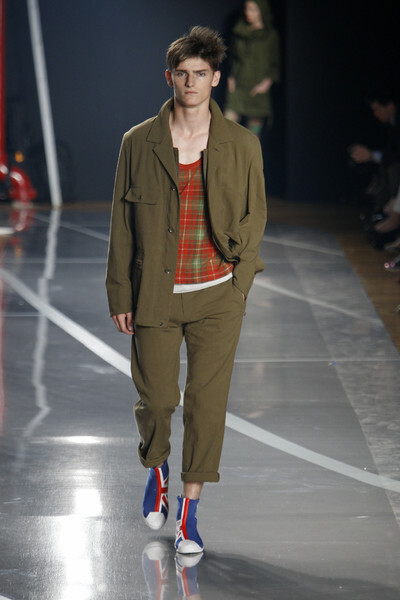 The male models sported basic sportswear looks, with a sleeveless trench and a checked suit being the most outspoken pieces for men. 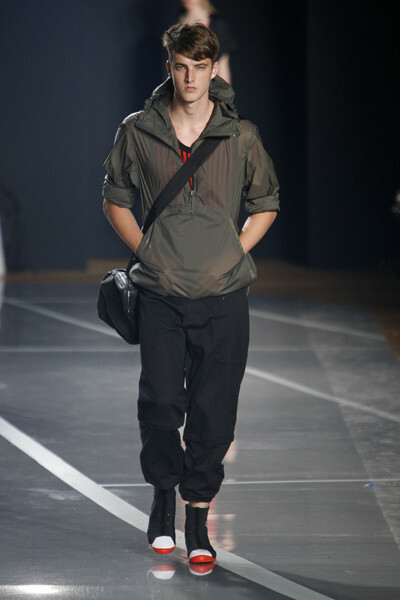 It was a typical Y3 collection, nothing more, nothing less.